A Chinese woman tells me that being around white guys inhibits her ability to make edgy (i.e., racist) comments about white guys . . . Some people are offended by absolutely everything, some people are offended by nothing, and everyone else is somewhere in between. The people at the easily offended end of the spectrum get most of the attention. People who hear a trigger word or a dog whistle that wouldn’t bother a normal person and they’re bleeding out all over the place like hemophiliacs. That’s where most of the focus is, it seems to me. It’s a distorted view of reality. My son went to college at Berkeley. 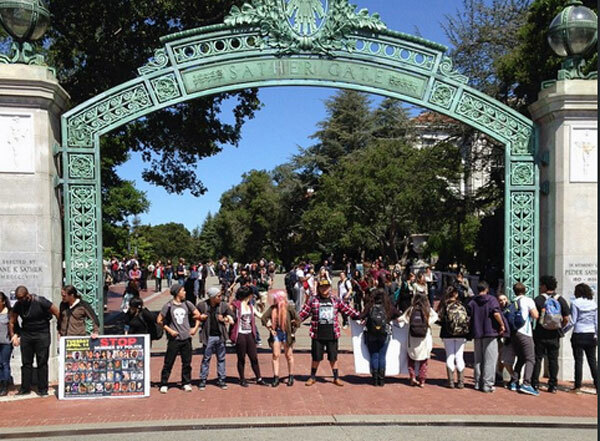 I’ve been there a lot and I can tell you that if 100 people are blocking Sather Gate to protest a microaggression, when you watch the news that night, you see the 100 people, as though that’s the totality of what was happening. If you weren’t there, you might think “Wow, the whole campus is in an uproar!” but what you don’t see are 25,000 other people ignoring the 100 protestors, going to class and trying to get on with their day. If you weren’t there, what you see is not really what was happening. Ten years ago, my son’s junior high school had a co-ed pickleball tournament. The results were posted on the school web site. If a team name contained any sort of cultural reference, the P.E. teacher in charge of the tournament wouldn’t put the name on the web site without deliberately misspelling some of the words. For example, 3 White Guys and a Hindu became 3 Wite Gus and a Hidu, because identifying someone as white, male or Hindu would be unacceptable. The team name 3 Blondes and a Brunette came through untouched for some reason. Why people allowed to self-identify as white girls (i.e., blondes), but not as white guys or Hindus I don’t know. The weirdest one to me was 4 Asians and an Idiot, which came out as 4 Ans and an Idiot. “Some white guy,” he said. True . . . there are idiots of all races. Those kids are all in their early 20s now. They’re just coming into the real world, the next generation, and I’m optimistic about the fact that despite schools and others telling them that they should be offended by absolutely everything, they’re not offended by anything. They have a sense of perspective, a sense of humor, and I think they’re going to be okay.